Scientists have successfully trained two dogs to 'sniff out' prostate cancer with more than 90% accuracy. The Italian researchers say using dogs to diagnose the disease could provide a viable alternative to the current blood test for prostate specific antigen (PSA), which can also give false positive results in men who do not have the disease. 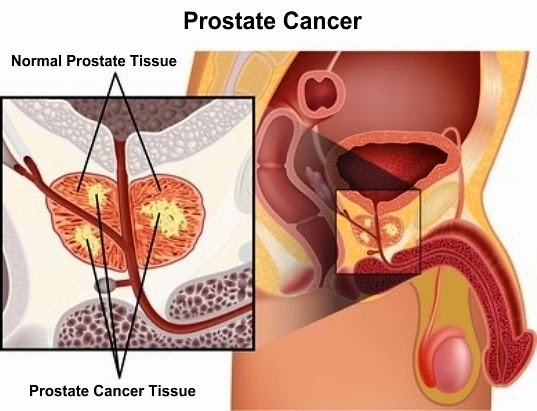 The team led by the Humanitas Clinical and Research Center in Milan, collected urine samples from 362 men diagnosed with prostate cancer and who were at different stages of the disease. They also took samples from 418 men and 122 women who were either healthy or had a different type of cancer or another health condition to act as a control group. They then trained two 3 year old female German Shepherds to sniff out specific volatile organic compounds associated with prostate cancer. Both the dogs, Zoe and Liu, had previously been trained in bomb detection work with the Italian armed forces. After being retrained, the researchers tested the dogs using batches of 6 urine samples with those from the men with prostate cancer positioned at random among those from the control group. One of the dogs correctly identified all of the prostate cancer urine samples and mis-identified only 7 of the non-prostate cancer samples, or 1.3%. 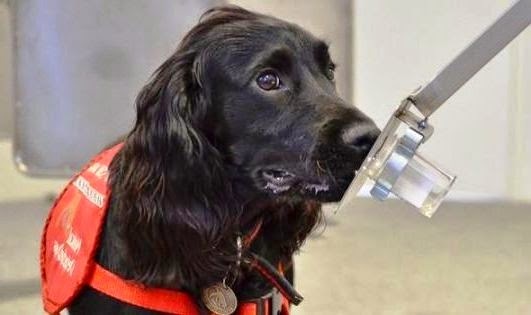 The second dog correctly identified 98.6% of the prostate cancer urine samples, missed 5 samples from men with prostate cancer, or 1.4%, and incorrectly identified 13 or 3.6% of the non-prostate cancer samples as coming from men with prostate cancer. The researchers say the study, published in the Journal of Urology, demonstrates that a rigorously trained dog could detect prostate cancer samples "with high estimated sensitivity and specificity". However, they acknowledge that further trials are needed to investigate how well the dogs performed when faced with urine samples collected from men who are being investigated for possible prostate cancer. 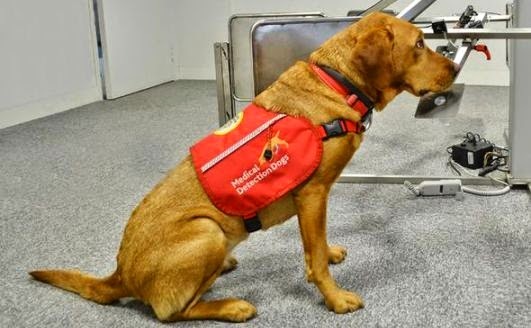 The findings back up tests carried out by the Buckinghamshire charity Medical Detection Dogs. Its chief executive, Claire Guest, describes the study as "very significant". She said: "The traditional prostate-specific antigen (PSA) tests, although valuable, gives a false positive in three out of four cases. This means 75% of men who take the initial PSA tests and receive a positive result have to undergo further invasive tests, which causes unnecessary stress and anxiety. "The false positive rate of PSA tests has also placed a significant burden on NHS cancer care clinics, which are already hard-pressed to deliver tests to all those requiring cancer checks. Over the years, millions of pounds of NHS funding has been poured into the traditional test methods, and yet there has been little improvement in their reliability. This has caused a huge waste of resources, not to mention the distress to the impacted individuals. "Moreover, the detection dogs provide alternative solution that yields consistently accurate results. If our detection dogs were a machine, there would be huge demand for them. Dogs can pick up a scent in a dilution of one to a thousand parts. Their superior smelling power is well known. "A urine test would be an additional test to support existing methods which would provide in combination with the PSA higher accuracy in the diagnosis of prostate cancer." Claire Guest says there has been considerable reluctance to allow dogs to be used for disease diagnosis, based partly on the belief that animals would have to be brought into hospitals. However, no patient-animal contact is needed for diagnosis, she says.